Trial Program - Just $19.95! 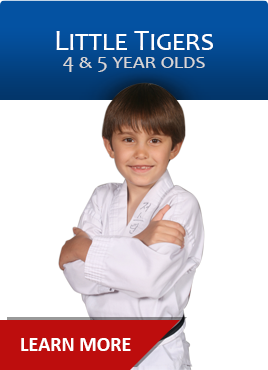 Great for young beginners, our Little Tigers Program is specifically designed for 4-5 year olds who learn the basics of Tae Kwon Do in a fun, encouraging environment while developing balance and coordination, strengthening focus and listening skills and meeting new friends. Our children's program helps kids develop physically, mentally and emotionally. 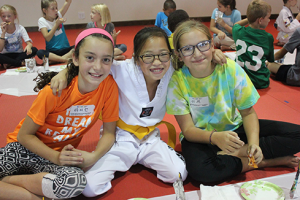 Kids gain confidence, strengthen self discipline, develop greater concentration skills, and learn they can achieve more than they thought possible by persevering toward their black belt goal. 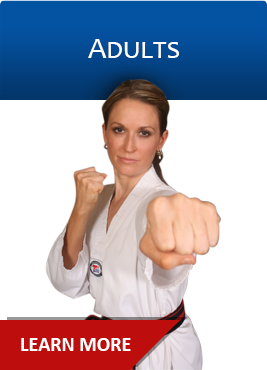 Adult classes provide a great total body workout. You improve your strength, endurance and flexibility while learning self-defense, relieving stress and having fun with supportive classmates. Every class is unique and the instructors provide personalized guidance along the way. 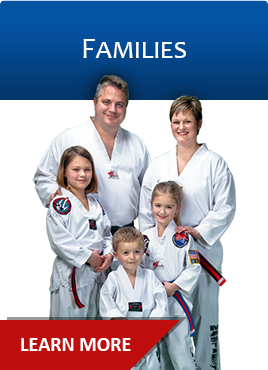 Learning Tae Kwon Do as a family is an incredible and important bonding experience. Training together leads to greater respect and appreciation, and you'll enjoy the experience of watching each other achieve and grow. 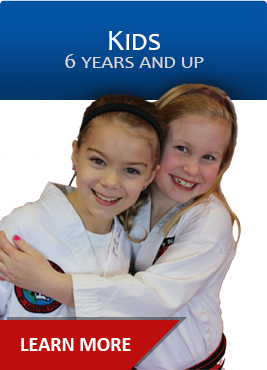 Share the journey to black belt and create lasting memories.